I just booked our next trip to Disneyland with our family. We go every 2 years or so and have a blast! This year, we booked with Get Away Today to go at during Christmas Break, so we can experience all the holiday magic! It'll be crazy busy during that time, but we can't wait! Radiator Springs Racers- race over to Cars Land first thing in the morning and grab a FASTPASS for Radiator Springs Racers. Believe it or not they actually run out of FASTPASSES for the day, so don't pass this one up or you'll be stuck in line for hours! Magic Morning Early Entry- With Magic Morning, Disneyland Resort Guests (with valid 3+ day ticket) enjoy one early admission on certain days to select attractions, stores, entertainment and dining locations in Disneyland park for one full hour before the parks open to the general public on select days. Not everything is open, but you can get some things checked off your list before the crowds come pouring in! Big Thunder Mountain/Space Mountain/ Matterhorn- I lumped these together because they were all mentioned as the most fun and thrilling rides Disneyland has to offer. The last two times I've been, Big Thunder Mountain was closed so I can't wait to ride it this year! Buttons from Cars Land- last time we went we got several for free! Feel free to add your own suggestions in the comments! Soarin' Over California- we all love this ride! It's a great break from the heat, or just to rest tired feet. Pixar Parade- kids will love seeing their favorite Pixar characters in this fun parade through California Adventure. One blogger shared this tip: "Get a front table at the Napa winery, order a cheese and wine platter (soda for the kids), and get a great view of the parade! Splash Mountain- Everyone's favorite water ride! The best time to ride this with a short line is during one of the shows. Hop in line while everyone's watching and you'll hardly have to wait! Special Entertainment- Disney does special occasions in amazing fashion. 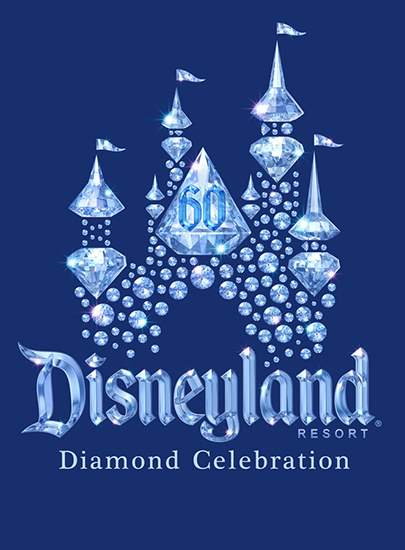 For instance, did you know that 2015 is the Diamond Celebration at Disneyland? Everyone is celebrating Disneyland's 60th Anniversary with special shows, parades, decorations, food, and more. Read all about it here. If you're even thinking about visiting Disneyland, you will love being part of this special celebration! I am an affiliate for Get Away Today and have booked with them several times before I was an affiliate. Use code OCRAFTY and save $10 with your 2 night or longer SoCal vacation package (restrictions apply). Go here to book your trip! So, that's it! Make sure your next visit to Disneyland Resort includes these ten things, and your vacation will be well on its way to being the most memorable yet! as well as many of my friends and readers!